» View all the Honda Shuttle that are Ready Stock. 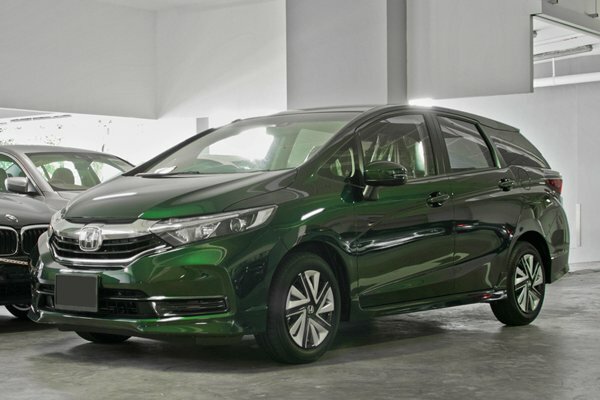 Authorised Distributor Honda cars are Honda City, Honda Civic, Honda Civic Type-R, Honda CR-V, Honda HR-V, Honda Jazz, Honda NSX Hybrid, Honda Odyssey. Parallel Imported Honda cars are Honda Civic Hatchback, Honda Civic Type-R, Honda Fit, Honda Fit Hybrid, Honda Fit Hybrid Speedo Motoring Edition, Honda Fit Speedo Motoring Edition, Honda Fit Trust Motoring Edition, Honda Freed, Honda Freed Hybrid, Honda Freed Hybrid Trust Motoring Edition, Honda Grace Hybrid, Honda Odyssey, Honda Odyssey Hybrid, Honda Shuttle Hybrid, Honda Shuttle Hybrid Speedo Motoring Edition, Honda Shuttle Trust Motoring Edition, Honda Stepwagon, Honda Stepwagon Hybrid, Honda Vezel, Honda Vezel Hybrid, Honda Vezel Trust Motoring Edition.